Akshay Kumar along with the producers of Padman Twinkle Khanna and Prernaa Arora launched the song Aaj Se Teri from the film at an event in Mumbai on December 20, 2017. The Khiladi star during the launch event showed off his new look and was asked about the choices of films that he has been making in recent times. 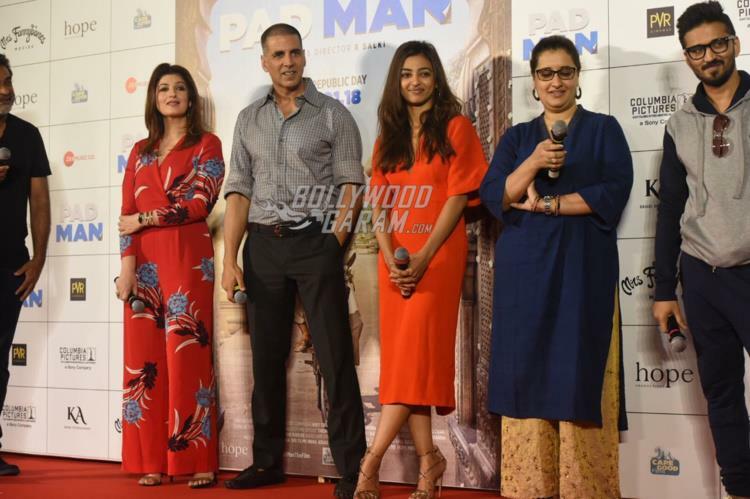 Upcoming film Padman will mark the debut of author and columnist Twinkle Khanna as a producer under the banner Mrs. Funnybones Productions. The film also stars Radhika Apte and Sonam Kapoor and is based on the story Arunachalam Muruganantham, who made low-cost sanitary pads which could be afforded by the women in the rural areas. Padman is due to be released on January 26, 2018.